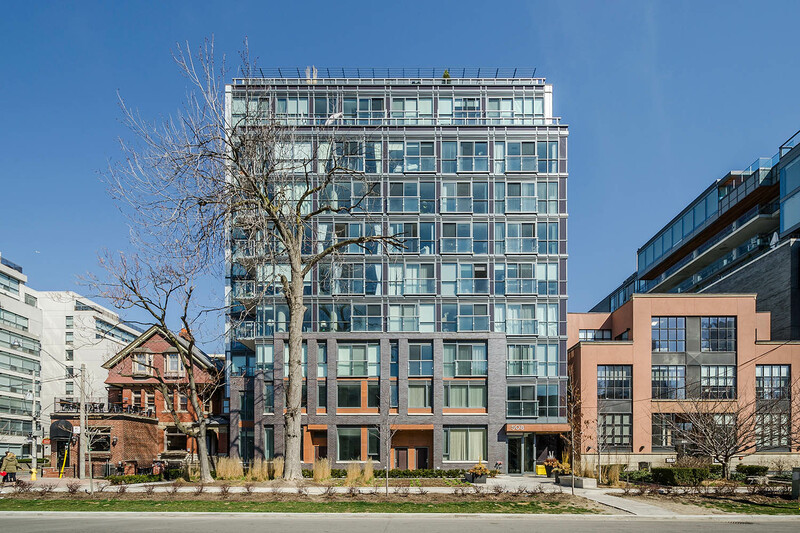 A mid-rise boutique condo on Wellington Place that encourages owners to buy multiple units which they can modify to up-size, downsize and adapt to their needs at different life stages. Downtown is the name of this 11-storey condominium building located at 508 Wellington Street West. The development features flexible architecture on a compact site. Parking is provided via parking stackers accessed from a rear lane on the ground floor. 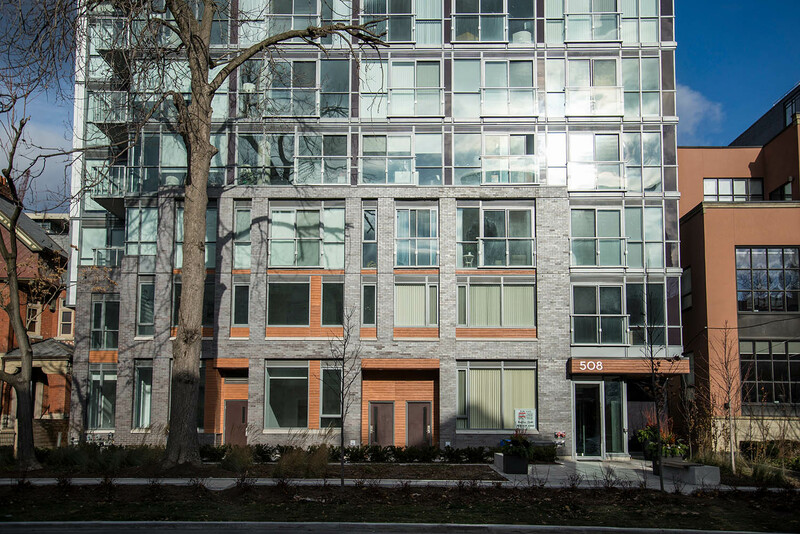 The suites on the ground floor enjoy direct outdoor access to Wellington Street. 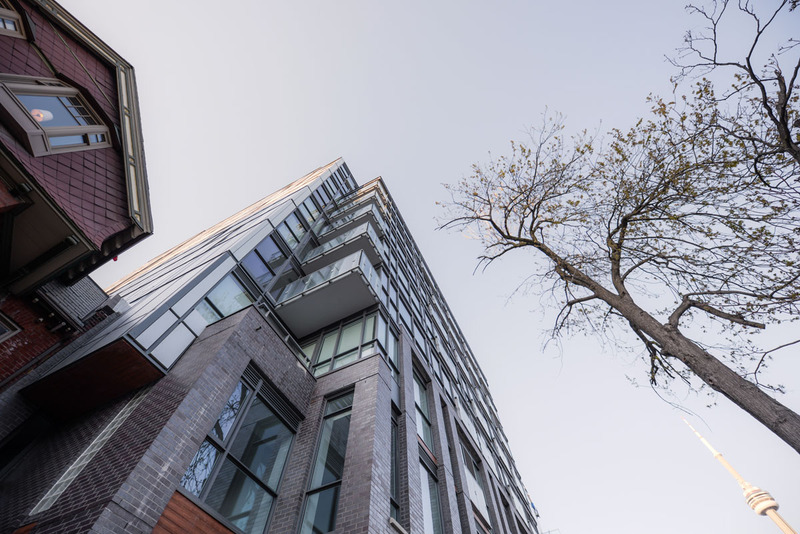 A deep band of landscaping in front brings tranquility to the entry sequence while reinforcing the Wellington Street tree-lined promenade - remnants of what used to be Wellington Place. 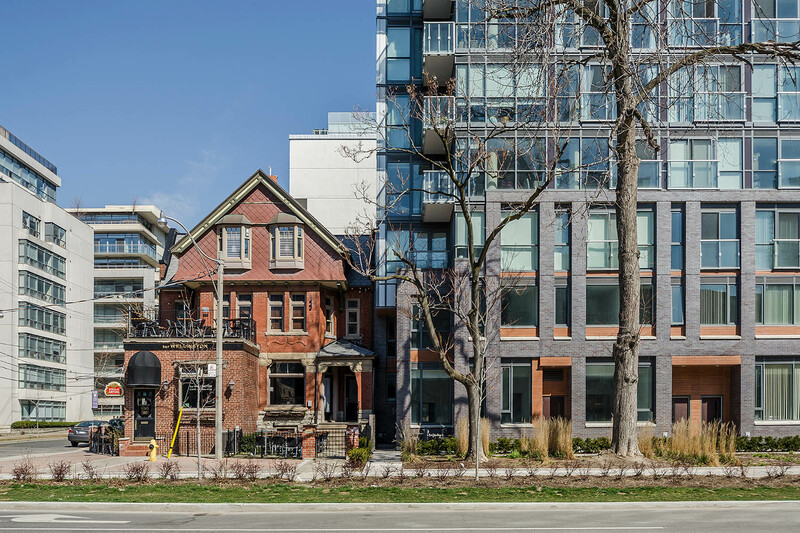 On the exterior, a brick base creates a modern interpretation of the material history of the neighbourhood, while the glass above provides a visually light backdrop. 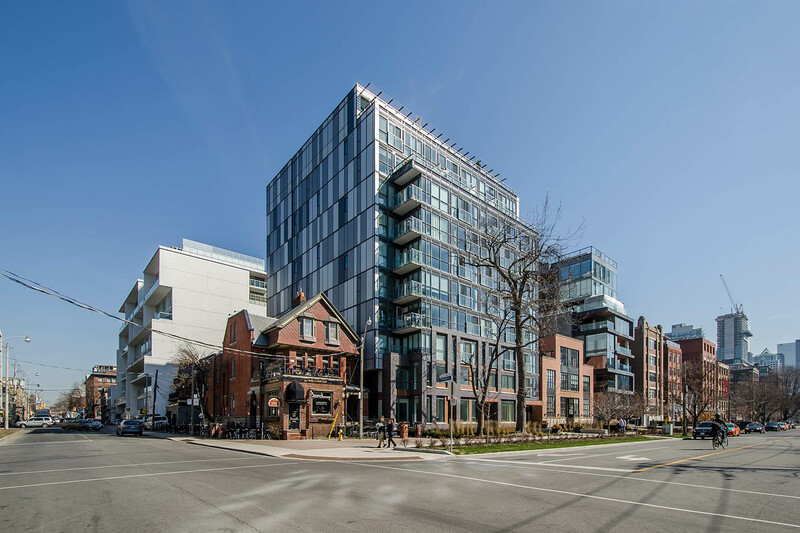 This strong base relates to the neighbours such as Bar Wellington, a local pub, eatery and heritage destination at the corner of Portland and Wellington. The concept for this “condominium” is not to sell the buyer on the static design of a selected unit as is available in the traditional condo market, but rather to give buyers the option of buying flexible units of space. These units can be combined at the time of purchase or in the future, a radical departure from the pre-designed living areas and standard offerings in the condo marketplace. This gives buyers flexibility when deciding upon the form and function of their interiors and adds the possibility of changing how space is used over time.